Eligible customers may receive Customer Cash towards purchase or lease of select vehicles. Please note that this program is NOT compatible with MCS special APR programs, or MCS special LEASE programs. Driving School Association of America (DSAA) Graduates may receive $500 towards the purchase 2017, 2017.5, 2018 & 2019 MY Mazda vehicle. Graduates must be within 12 months after graduation. One copy of each of the following documents is required for redemption and must be kept in the sales jacket: - A copy of the graduation certificate of an approved DSAA driving school. - A copy of the purchaser's current driver's license. - Graduatex2019s name on certificate must match their name on the title or registration and must match the name on the purchaser's current driver's license, OR the address on the graduatex2019s certificate must match the address on the purchaser's current driver's license or other proof of residency (i.e. prior month's utility bill in name of purchaser at current address, current property tax bill in name of purchaser at current address). Offer IS transferable within household. DSAA Graduate Program Cash can be combined with other public offers including but not limited to customer cash back and APR incentives/offers. The DSAA Graduate Program Cash cannot be combined with any other private incentives and is not stackable with other private offers unless specified. The DSAA Graduate Program offer is not stackable with any current lease loyalty offer. Customers donating a vehicle to Vehicles for Change may receive Bonus Cash on the Purchase or Lease of any 2016 MY, 2016.5 MY, 2017, 2017.5, 2018 or 2019MY Mazda vehicles sold, delivered, and RDRx2019d (type x201CRx201D) during the program period when a vehicle is donated to Vehicles for Change. One copy of each of the following documents is required for redemption and must be kept in the sales jacket. - A copy of the current registration or title. - A copy of the purchaser's current driver's license. - A copy of the Vehicles for Change (VFC) donation receipt. - Must present proof of ownership of eligible vehicle. Recent college graduates or current college students may receive on all new and unused Mazda vehicle when financed or leased. Eligible Dealers: Northeast Region Mazda Dealers in Boston, Providence and Syracuse Eligible customers: Graduated or will graduate from an accredited junior or community college with an Associatex2019s Degree (must be within 6 months of graduation or up to 36 months after graduation). OR Graduated or will graduate from an accredited college or university with a Bachelor Degree (must be within 6 months of graduation or up to 36 months after graduation). OR Currently enrolled graduate students attending an accredited graduate school or up to 36 months after graduation with a Masters or Doctoral degree. Family, including spouse and children, are not eligible. This offer IS NOT transferable within the household. The name on the RDR has to match the name on the contract or lease agreement Must be a resident of the United States See program rules for details. Exclusive $750 Mazda Loyalty Reward for loyal Mazda owners on the Purchase or New and unused 2017MY, 2017.5MY, 2018MY or 2019MY Mazda vehicle. This offer IS transferable within household, must live at the same address. Eligible Customers: All returning MCS Lessee's are eligible Current vehicle trade-in or lease termination is NOT required to participate in program. Please note that this program is NOT eligible for Autopay, as additional documents are required. Mazda Loyalty Reward can be combined with other public offers including but not limited to MCS Lease, Customer Cash back and APR incentives/offers. Mazda Loyalty Reward is stackable with one other private offer including but not limited to Military Program and Step-up program. The Mazda Loyalty Reward purchase incentive has no cash value and must be applied within the lease as a capital cost reduction and as a rebate on the purchase. Mazda North American Operations will provide incentive towards the purchase and installation of adaptive driving aids or mobility assistance equipment on all eligible Mazda vehicles. Program is available on the Purchase of any new and unused 2017MY, 2017.5MY, 2018MY & 2019MY Mazda vehicles. $328.92 per month for 24 months. $1,915.85 due at lease signing. Excludes registration, tax, title and license. Program eligibility based on qualifying credit approval. Not all customers will qualify. Offer requires financing with Mazda Capital Services. Residency restrictions apply. $284.78 per month for 30 months. $2,133.56 due at lease signing. Excludes registration, tax, title and license. $269.47 per month for 33 months. $2,220.64 due at lease signing. Excludes registration, tax, title and license. $247.04 per month for 36 months. $255.87 per month for 39 months. $2,351.27 due at lease signing. Excludes registration, tax, title and license. $252.13 per month for 42 months. $2,481.89 due at lease signing. Excludes registration, tax, title and license. $252.54 per month for 48 months. $2,612.52 due at lease signing. Excludes registration, tax, title and license. 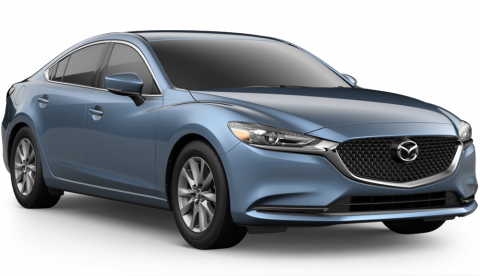 Listed Incentives are available for registrations at Cochran Mazda located in Wexford, PA. Information Provided by Automotive Information Systems, Inc: Information is Reliable but not guaranteed. Finance Offers (APR) are available to qualified buyers subject to Credit Approval, not all buyers will qualify.